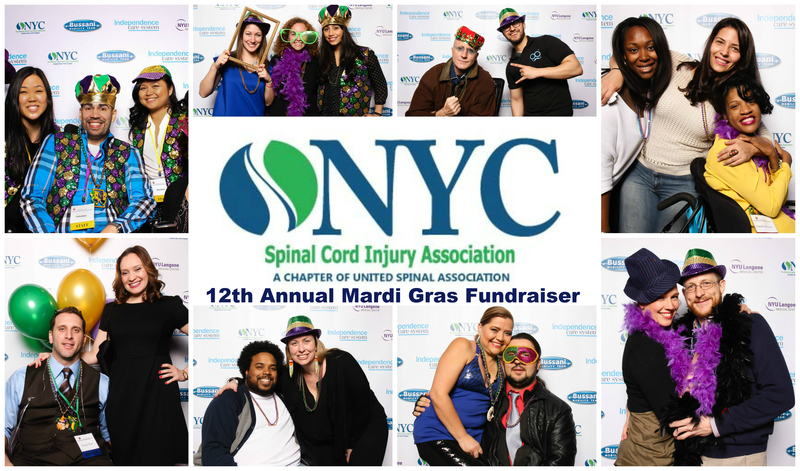 Enjoy an evening of food, fun and entertainment with a New Orleans Mardi Gras flavor to benefit the NYC Spinal Cord Injury Association (NYCSCIA), a chapter of United Spinal Association. Your support will help fund quality of life programs that enable people with spinal cord injuries to maximize their independence and quality of life. Guest of Honor Liz Treston receiving the Peter Zarba Humanitarian of the Year Award. This award is given in memory of NYCSCIA board member and disability advocate, Peter Zarba, to recognize the person, group or organization that best exemplifies dedication, leadership and advocacy for helping people with spinal cord injuries maximize their independence and quality of life. NYCSCIA is proud to recognize Liz Treston for her lifelong advocacy on behalf of people with disabilities and her passion, commitment and leadership in the effort to make the world more accessible for everyone. For more information, see www.nycspinalcord.org.